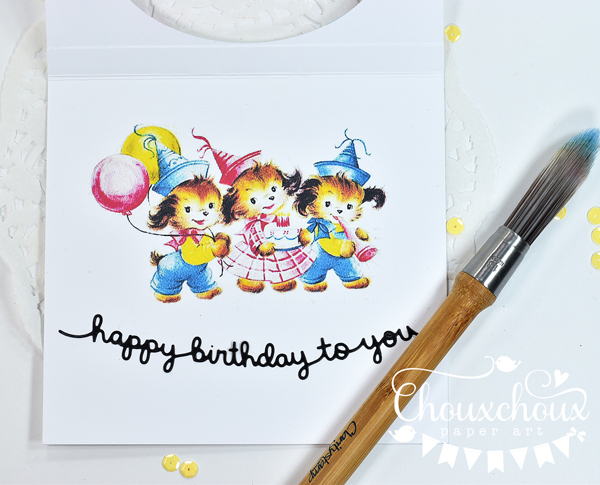 Don't you just love it when you have the best time creating a couple of cards? I'm calling these Outside In cards. I just made that up because I put elements that might normally be found on the outside of a card on the inside. Also, this is the first time I used my Clarity Stencil brushes. And I love the results! See those hearts? Created with a handmade stencil and a Clarity Stencil brush. Love how they look! I've got a video posted below to show the brush in action. That cute puppy is from an ancient Sandy Lion set of stamps that I've had for years and never opened. Seriously. Had it forever. So cute. Why did I not use it??? Oh, well... using it now! Here you can see the Outside In part of the card. Kind of fun and made me smile! Created a larger heart stencil for that one. You know I love sweet and cute! This card hits all my buttons. And I finally used one of my vintage candles. Here's the Outside In part. Adorable birthday pups! If you like them, you can download them below. I created some circle stencils of various sizes with a die and punches. You can see one of the Clarity Stencil brushes there. I've used stencil brushes that you pounce in the color. This is brushed on, so you get that beautiful gradient look in the color. Super duper cute, Lori! 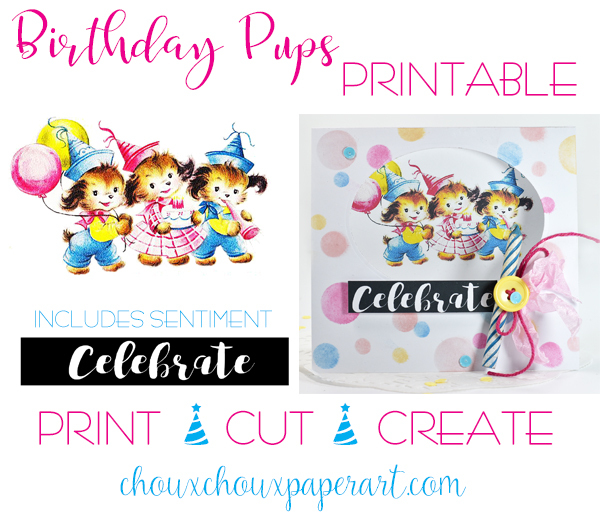 Those pups are just darling & your stenciling & designs are wonderful! Hope you had a great holiday weekend! What cuties - fabulous makes Lori. Darling cards with those adorable pups, Lori!! Love the soft look you achieved with the hearts and circles!! Great way to use the vintage candle, too!! 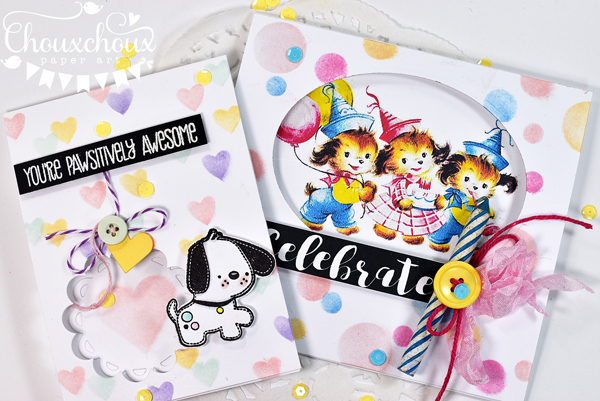 Love the die cut stencil you created and the windows looking inside your cards! Super cute and fun! totally adorable set of cards!! love those sweet little kitties!!! Omgoodness, these are SO sweet, Lori! 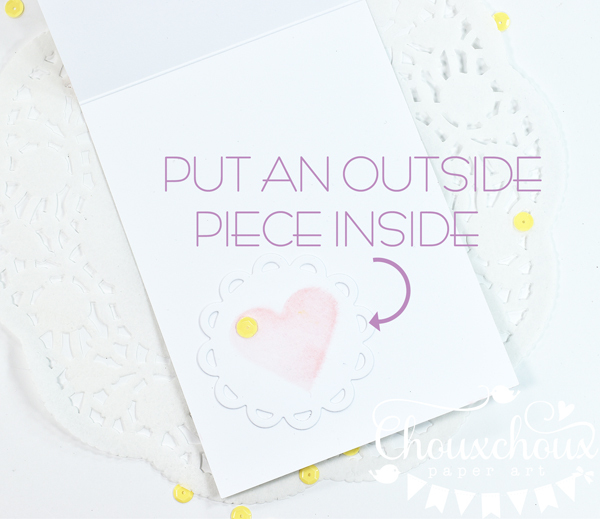 What a fun idea, to bring the inside of the card out! Really love the little window effect, and love your soft stenciling, too! Clever to create your own circle pattern like that! And what sweet vintage images! LOVE that you added a real birthday candle! So, so, so, SO darn sweet! These hearts look amazing, so soft and sweet!! I tought that it was a patterned paper before reading your post... Brilliant idea! Love the cute puppies and the inside, another brilliant idea! And the stitched stamped doggie is adorable! Fabulous both the cards! I don't think sugar could be any sweeter than you! Those are adorable Lori! 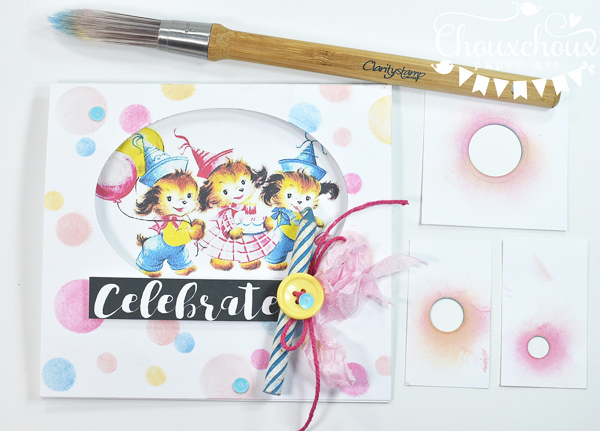 How fun using your Clarity brushes! I just started using mine the past couple of months as well... and it brushes on so nicely... Makes me want more of them for each of my color groups! :) Have a great day! Oh gosh these are so adorable. 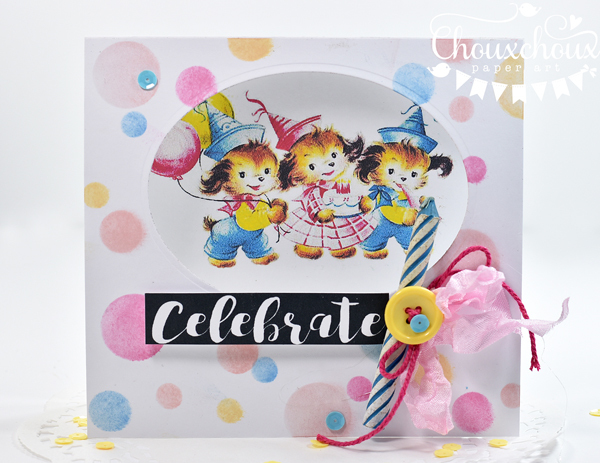 Precious images and your stenciling looks amazing. I like your out of the box inside out design too. Hugs! You make THE most adorable and beautiful cards... and that puppy... I was really hoping when I got to the end of the post I'd find out you had it in your Etsy shop...lololol! I am also trying to use some stuff I haven't used since I bought it... and love the stenciled hearts... I thought it was design paper for sure... Happy Tuesday!